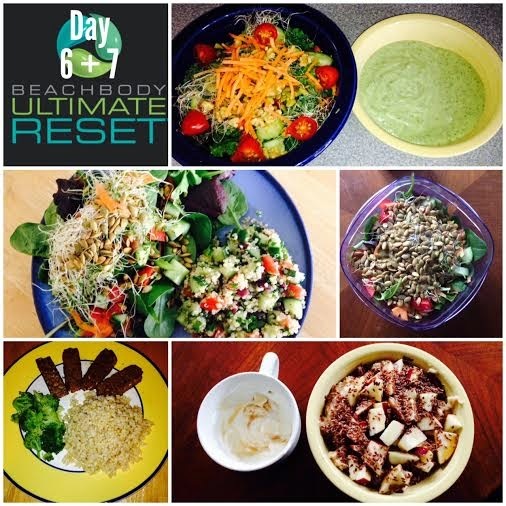 My Brothers Journey through the Ultimate Reset Cleanse. Recently my brother has hit some unexpected road bumps. He lost his partner of 10 years, got laid off from his job, and had to move cross country all in a 3 month span. Needless to say he was pretty down. Not only was he down, but his health was suffering. He needed something to lift his spirits and health at the same time. 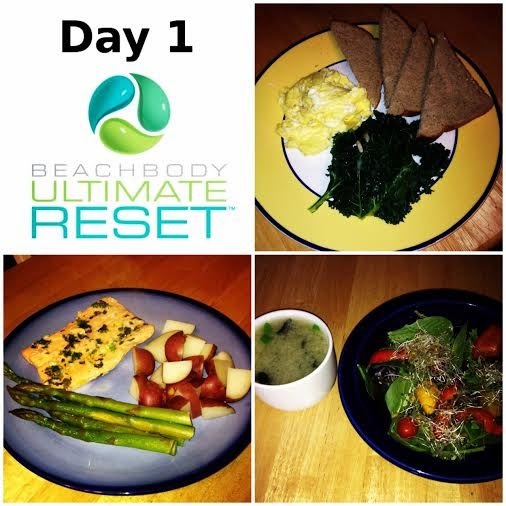 I did the Ultimate Reset Cleanse in October of 2012 and felt amazing after. 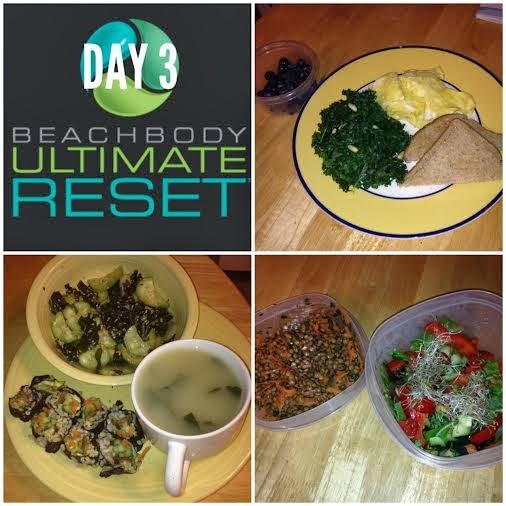 I had bought another Ultimate Reset Cleanse with the intention of doing it again, but I hadn't. When I first started noticing my brothers health decline (before any of his road bumps hit), I had decided that I was going to give it to him to do. It sat there for a long time. Finally about 3 weeks ago he was ready. I was so excited for him, because I knew it was the kick start he needed to get himself back together. This blog post is a little look into his journey. I knew I had to get Jason mentally prepared for what was about to go down. This isn't a walk in the park cleanse. The next 21 days were going to be hard. He was going to need to be disciplined and patient with myself. I knew it wasn't going to be easy, but it was going to be worth it. 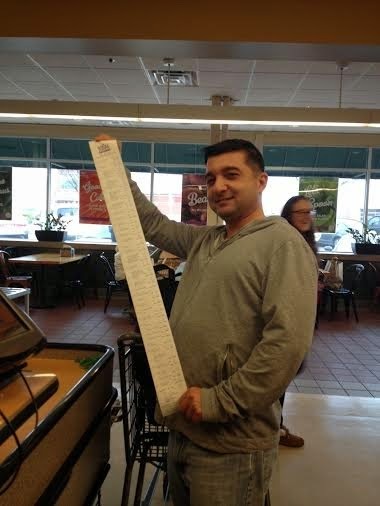 We spent the night before doing food shopping. Right off the bat he told me that if I hadn't been there in the store with him that he would have already quit. The first week shopping list is pretty intense. There are LOTS of things on it and many of them he had never even heard of before. Would you know where to find seaweed in your super market? Luckily because I had done this in the past I knew what to expect, and where to find the ingredients. It took us about 1 1/2 hours to get the shopping done and then it was home to prep for the next day. The reclaim phase focuses on gradually removing animal products and refined from your diet while adding a boat load of veggies. This phase actually went pretty well for Jay. He loved the meals and didn't mind the supplements. At first he kept forgetting to take them, but once we set reminders in his phone he got the hang of it. If you plan on doing this cleanse, setting a schedule in your phone with a reminder to when to take your supplements and what supplements to take is very helpful. 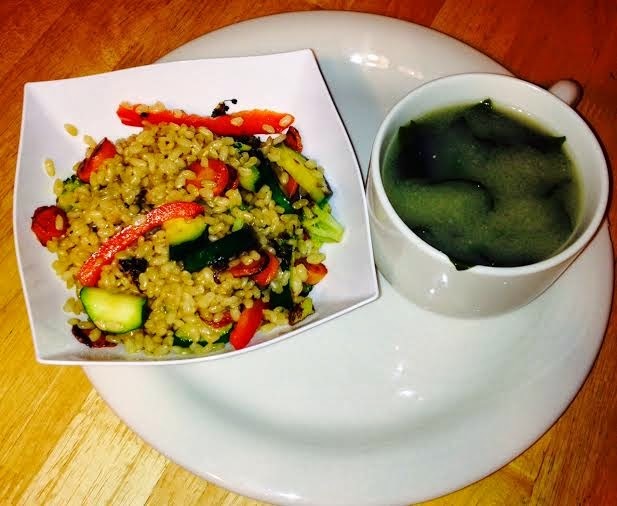 Jason loved the breakfasts, and the microgreen salads for lunch. I for one really enjoyed the baked salmon recipe. Highlight of week one was that we got to roll our own sushi and have it with miso soup. Now my brother and I want to have a sushi party! 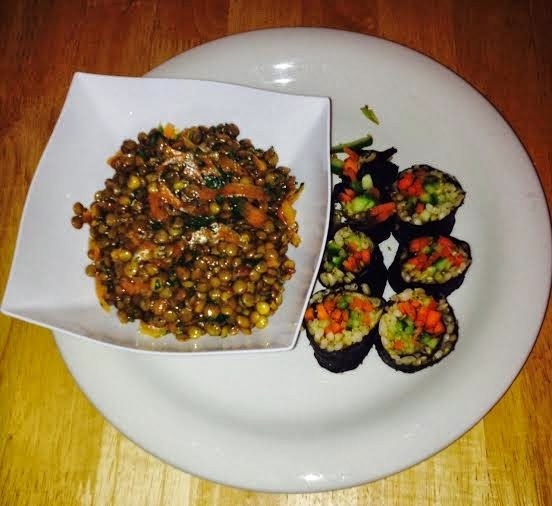 Here are some pictures of some of the week one meals. Week 2 groceries. 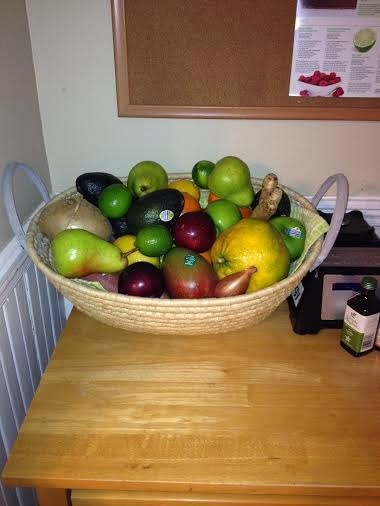 We have never had this much fruit at once! The release phase completely eliminates animal products, including dairy, eggs, and meat. The diet moves toward more vegetable, fruit, and whole grains. 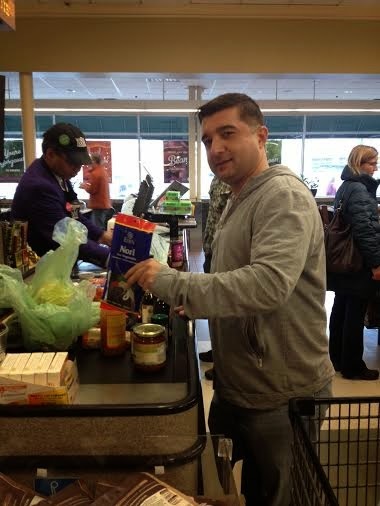 This week the food shopping was soooo much easier. We went in with a plan, worked as a team, and got in and out really quickly. The cost of groceries also went down significantly. 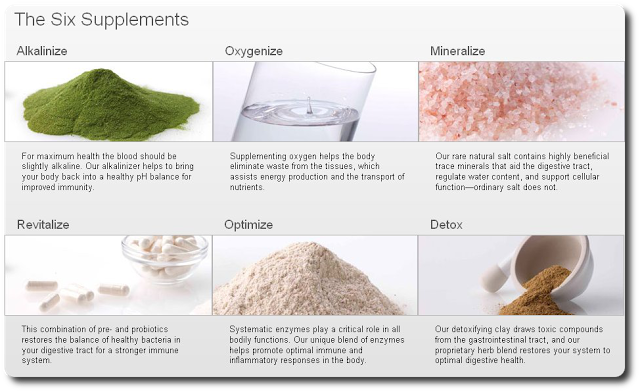 In the release phase the detox supplement is introduced. He didn't mind the detox or any of the supplements for that matter and by the second week he was remembering to take them all. They say that during this phase you start to release toxins as well as built up emotion. This week was a tad more difficult for Jay. He was still liking all the food especially the big fruit bowls for breakfast, but I think reality set in that he still had two weeks of this cleanse. I absolutely loved the Sweet Potato and Roasted Red Pepper Bisque recipe from this week. Some highlights from week two were that Jay had lost 3 inches from his waist, and he was feeling like he had a lot more energy. I noticed that he appeared to be happier and in an overall better state of mind. These are the supplements involved with the cleanse. During the restore phase you eliminate grains and legumes. 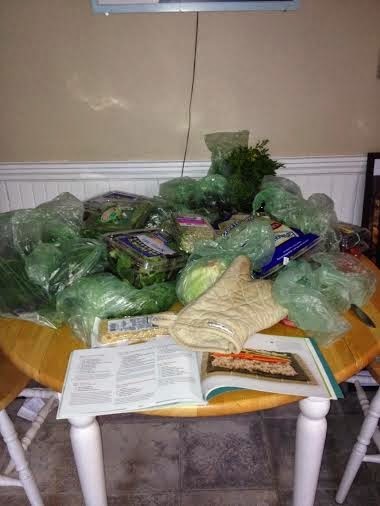 This focuses on a simple, cleansing, fruit and veggie based diet. The portion sizes of meals during this phase are significantly larger because the meals are only veggies. Every breakfast consisted of a huge fresh fruit plate which Jay LOVED...sometimes he couldn't even finish it. Jay had developed some awesome habits by this point. He now loves eating his food slowly and focusing on every bite. This helps him recognize when his body is full, as well as appreciate the food aka fuel that he puts into his body. I was really impressed with Jay at this point because I remember during my third week of the cleanse I was ready for it to be DONE. He was really enjoying the food, and was actually sad that it was ending. 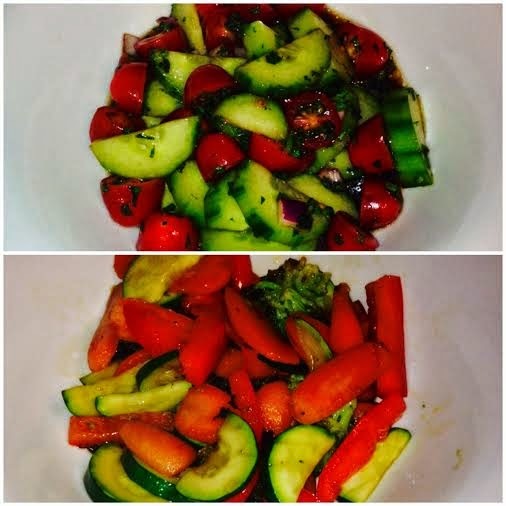 This week had some really good recipes such as the Moroccan Carrot Salad, the Asian Cabbage Salad, and the Avocado-Cucumber Soup. Jason completed his cleanse and I could not be more proud of him. Overall, I would say this experience was a success. Even if his body did not change, the ultimate goal was for him to feel better. BUT...his body did change. He feels better in his own clothing, as well as in his own skin. I am extremely proud of my brother. It took a lot of discipline, time, and energy to complete this. The whole experience brought us closer together, and I know this is only the beginning. 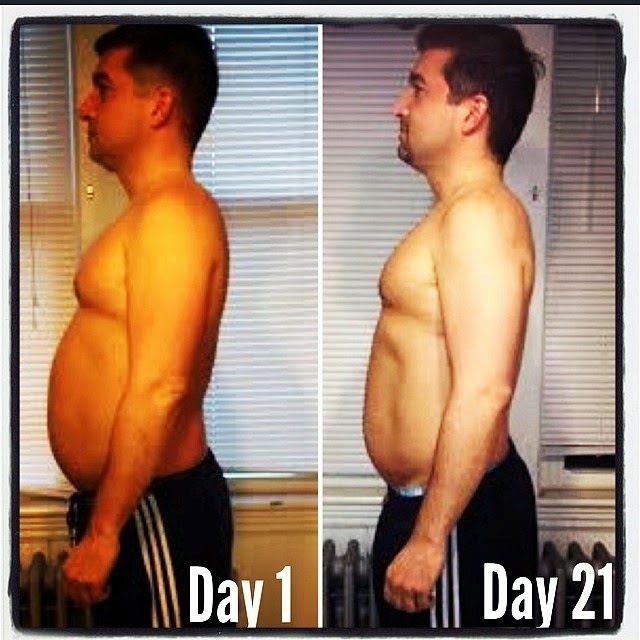 He is excited to now more on to a Beachbody workout, and add Shakeology to his diet! Below is a comparison from day 1 to day 21. I for one think he looks amazing, but am more happy about the way he feels! Comments from Jason: Best part about hard work...RESULTS. Ok, looking at this pic I can't believe how fat I was 21 days ago. I was sad, depressed and the last thing I wanted to do is work out or look good for anyone. I think I was binge eating too..I have to give a HUGE THANK YOU to my sister Jaime Messina, who got me to change direction. Her words of encouragement cooking meals and daily checking on me were the only reason this happened. I don't know how you did it Jaime, but I am forever grateful. i don't think I will go back at this point..I feel motivated and hopeful, which I haven't in months. And I know for a fact Justin would be proud. A lot of why I'm doing this is for him. I will always love you babe R.I.P. 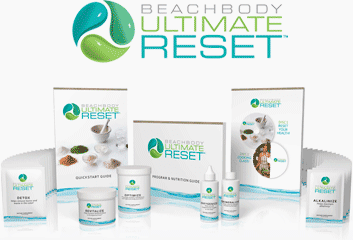 If you are interested in doing the Ultimate Reset Cleanse and would like my help, please message me at Messina1892@gmail.com ! I would love to coach, and support you through the process. If you would like to join any of my fitness challenge groups, or think coaching might be for you I would love to hear from you as well!